The day you discovered that a little bundle of love was forming inside you, you’ve wanted to cherish the months leading up to his or her momentous arrival. You can cherish those moments even after your child is born with my maternity session. There are two different options to choose from. 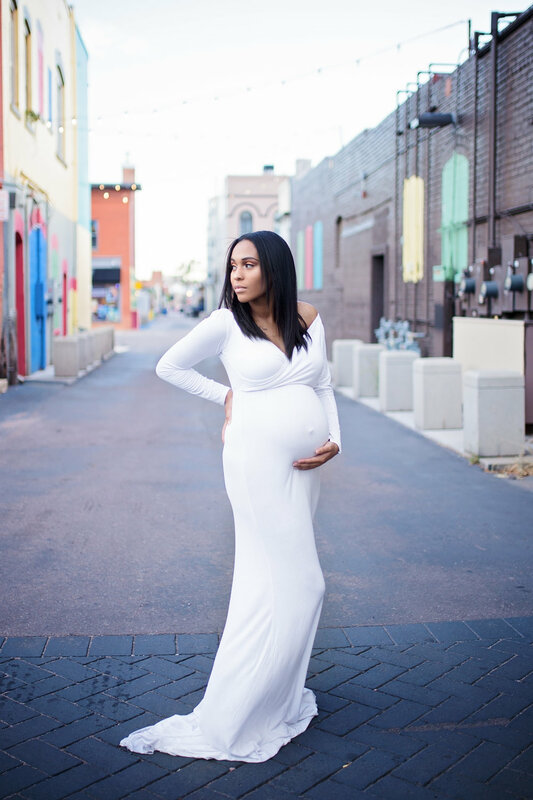 For the session, you will be provided with a closet of maternity dresses to choose from that come in an array of sizes. If you don’t find a dress you absolutely love, I can work with you and my trusted vendors to pick out a dress that fits your style perfectly. I also outsource hair and makeup services so you have one less thing to worry about.